M.I has remained the focus for Hip-hop fans in Nigeria since ‘Talk About It’ debuted in 2008. Though the same can’t be said for Jesse Jagz, he’s just as renowned as his former Lupee Records partner. 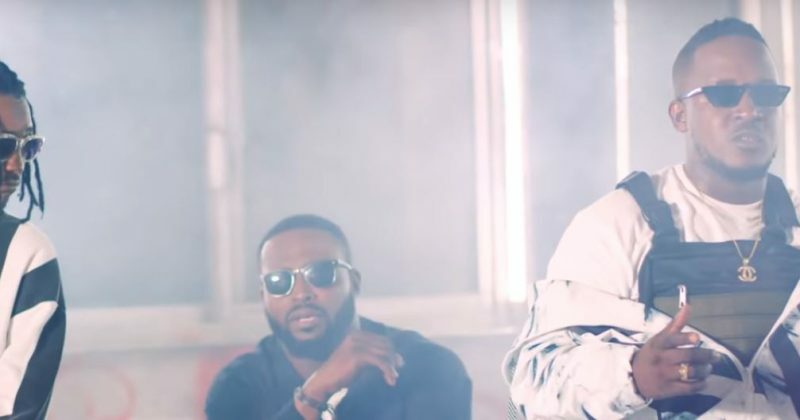 DJ Neptune has been around long enough to recognize the lexical potency of their pairing up and features them on “Blood and Fire” off his ‘#Greatness’ album. He recently released the Lucas Reid directed music video for the track, following the rappers as they perform their intoxicatingly confident bars. Jesse Jagz is seen walking on the streets while taking the first verse and hook in his Rastaman impersonating flow. M.I however performs his own verse at a barbing salon before all three are seen in a graffiti decorated uncompleted building with smoke machines. You can watch the music video for “Blood and Fire” below.